It’s Magic… The Deep Covered Baker! A couple of months ago I wrote a post about my Pampered Chef Deep Covered Baker. This clay baker is amazing because you can cook a delicious chocolate lava cake in the microwave in less than 15 minutes. Many people were shocked because they had the same baker and never knew that it could be used to make a chocolate lava cake in the microwave. As shocked as they were to learn you could bake a cake in the microwave, I was equally shocked to find out you could bake a whole chicken in the microwave in the same baker!! Honestly I never used for anything else besides cake… because if you have cake really what else do you need? Now keep in mind I have never in my whole life cooked a whole chicken. I am the master of the chicken cutlet, but a whole chicken was completely out of my comfort zone. However, I decided it was time to jump off the ledge and try something new. Off to the supermarket I went hoping that I would be able to find where they keep the whole chickens. I assumed they would be close to the cutlets and luckily I was able to find myself a bird. I chose a 6-pound bird and feeling successful I headed home. Once I got home I was a bit perplexed. I cut off the wrapper and didn’t really know what to do next. This bird had insides Yuck! My cutlets don’t come with insides. Luckily, the nice people at Stop and Shop who packaged the bird had placed all the insides in a nice bag, which I immediately removed and discarded. I really had no idea what I was doing but decided I should wash the chicken in the sink. Of course then I needed to disinfect the sink and counters because I am afraid of cross contamination. From the sink I plunked it right into the Magic Deep Covered Baker. 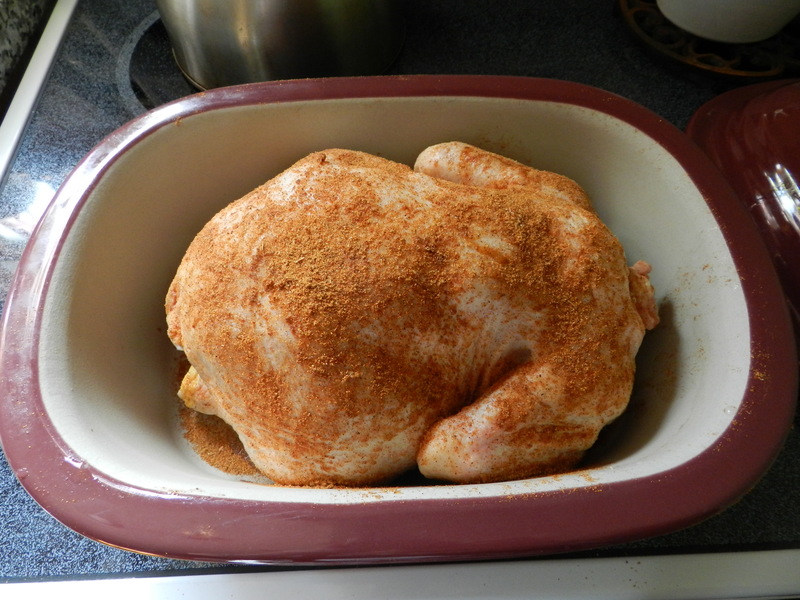 I sprinkled the chicken with McCormick chicken seasoning- again didn’t’ have any idea what kind of seasoning to choose. I basically just closed my eyes and grabbed one. 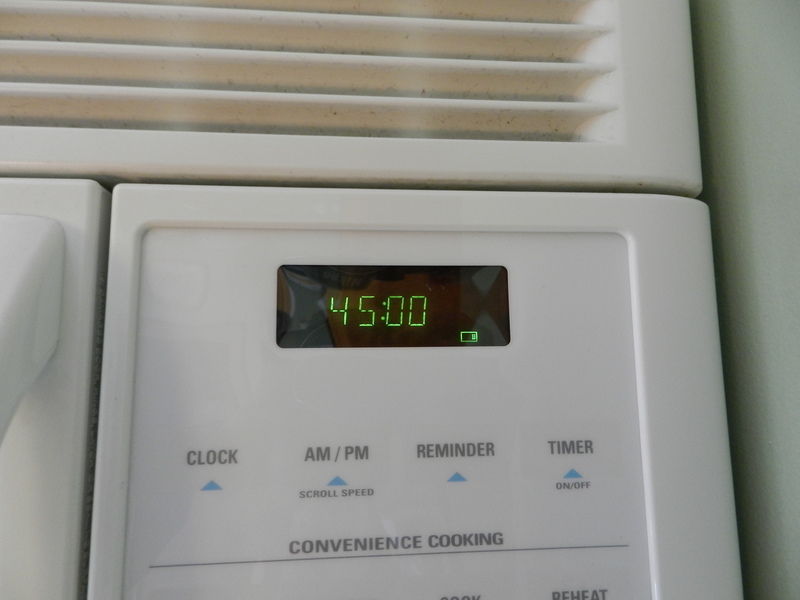 I put the top on the baker and set the microwave for 45 minutes. Forty-five minutes later I had a beautifully cooked delicious chicken for dinner. At first, my husband was rather skeptical. He feels the microwave is okay for cakes but not for chickens. He refused to eat a chicken that was cooked in the microwave. Eventually he relented, but really only because there was nothing else to eat in the house. The end result was magic…it was delish! It was as good, if not better than the rotisserie chickens that I buy at the supermarket. Now if I could only get my magic baker to cut the chicken for me… that would be something. You have never seen a massacre until you watch me try to cut up a chicken. This entry was posted in Family, Food & Snacks, Life, Motherhood, Recipes and tagged Chicken, chicken cutlet, Chocolate, Cook, cooking, Cutlet, Deep Covered Baker, dinner, Lava cake, McCormick Seasonings, Microwave, Molten chocolate cake, Pampered Chef, rotisserie, rotisserie chicken, Whole Chicken. Bookmark the permalink. 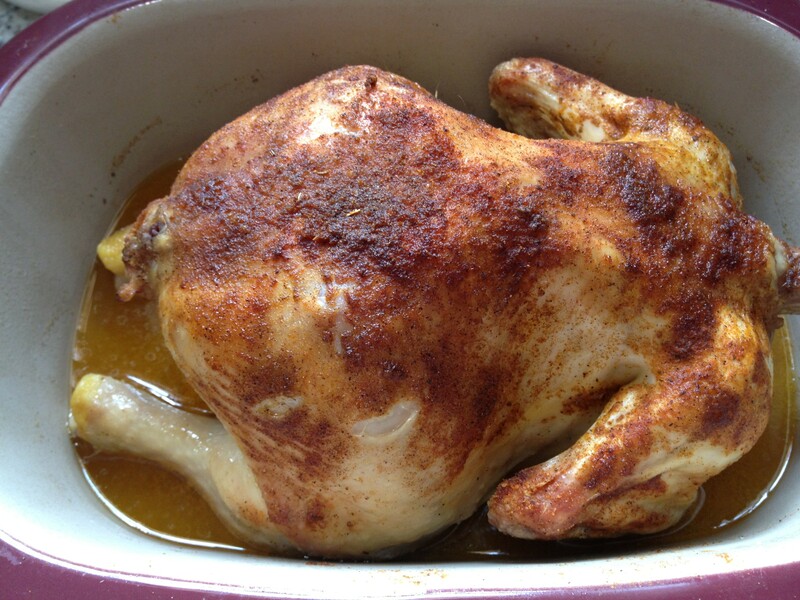 1 Response to It’s Magic… A whole chicken cooked in 45 minutes! Your posts always make me laugh, but this one made me lol right here in the middle of the hospice unit, almost choking on my coffee! Hysterical! !